Oil prices have been trending lower since peaking early last week – is this a reversal in sentiment? It’s unclear. While markets are certainly taking a breather, whether they continue rallying near-term is yet to be seen. 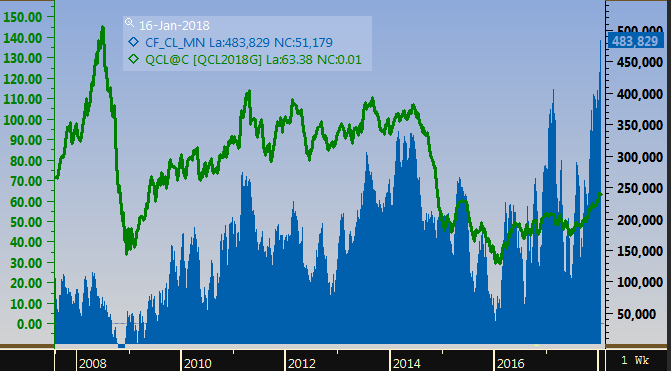 Technical analysis suggests there’s more room for crude to rise before hitting resistance, though some analysts say the market is currently overextended relative to what fundamentals support. Oil prices are currently trading flat, just 3 cents below Friday’s closing price, at $63.34. On the refined fuels side, diesel and gasoline have been trending in opposite directions. Diesel prices appear worn out after surging higher over the past couple months. Today, diesel prices are trading 1 cent below Friday’s close, with prices currently at $2.0483. Gasoline, on the other hand, is up 0.3 cents relative to Friday and is currently $1.8667. Markets have been digesting the IEA’s report last week, and the slowdown in upward price activity appears to be a response to the IEA’s forecast of “explosive” growth from U.S. producers. With production set to surpass 10 million barrels per day in 2018, the international group expects the U.S. to become the dominant energy producer in the world, surpassing Russia and Saudi Arabia. 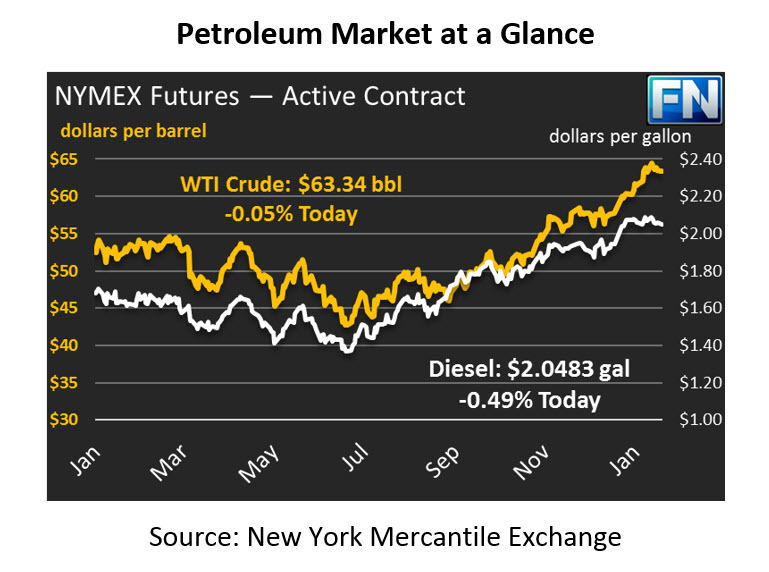 Markets remain at record high length, with NYMEX Crude length from hedge fund managers continuing to set new records each week. The below chart shows WTI crude oil prices (green line) compared to speculative net length (blue area). The CFTC has been reporting on trading positions since 2006 – during that time, net length has never been as high as it was last week. With plenty of room to rise before hitting historical price levels in the $80-$100 range, markets are hoping oil will yield higher returns than other financial markets in 2018. The chart helps put in perspective how low prices remain compared to 10-year levels.